Crafted with sophisticated gents in mind, the latest G.V.X. 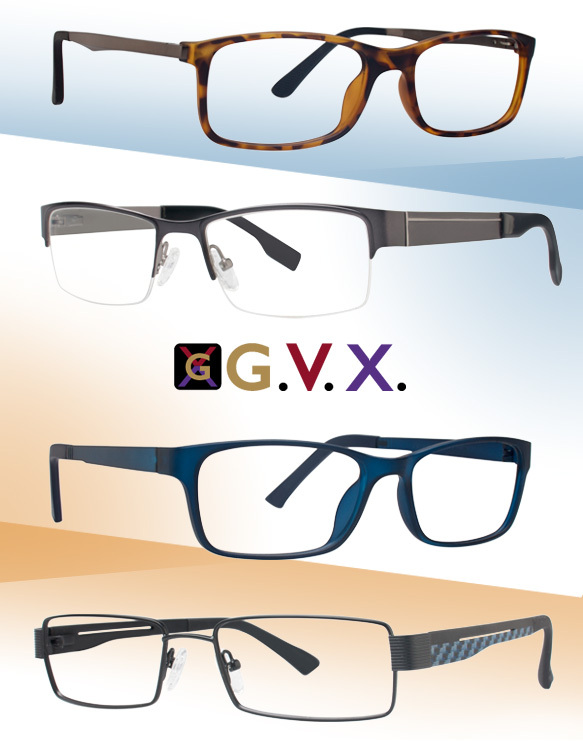 glasses offer modern takes on classic designs for simply masculine style. Sleek traditional and semi-rimless rectangular silhouettes are updated with metallic accents, patterned and textured temples, subtle color blocking and linear detailing. Meanwhile, no-fuss guys will enjoy the versatility of a palette boasting tortoise, deep silver and rich navy hues—colors that’ll pair well with their existing wardrobes. To boot, each frame features comfortable nose pads for the perfect fit. Dig what you see? Get even more deets here.